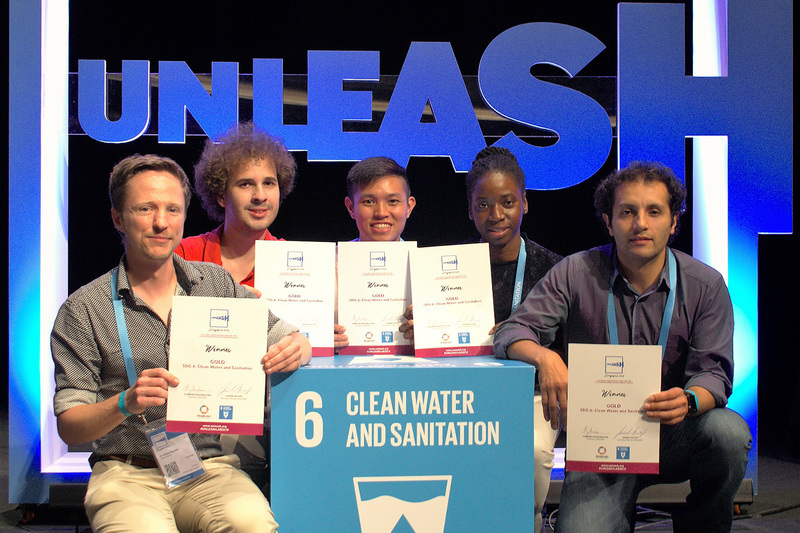 A senior lecturer in water quality at the Department of Civil Engineering, Dr Dyllon Randall recently represented the University of Cape Town (UCT) at the UNLEASH 2018 event hosted in Singapore, where his team of innovators won a Global Sustainability prize for their SaniHive prototype design. Every year the UNLEASH event brings together 1000 selected young talents from around the world for 9 days, to tackle issues of sustainability and development with immersive co-creation and problem solving. Randall was paired with four other intuitive minds from Colombia, Singapore, Uruguay and Barbados to tackle the Sustainable Development Goal of clean water and sanitation. Together Randall and his team developed a prototype they call, ‘SaniHive’. 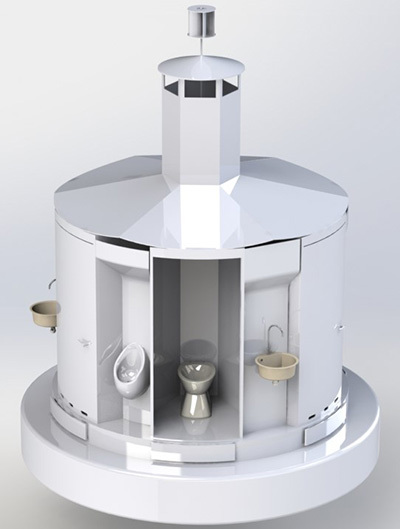 It is a fully integrated sanitation system design inspired by the structure of a honey comb – made to use up limited space with the least amount of resources, for areas where waste can be easily reused to create jobs and products. All projects presented at UNLEASH are evaluated by leading experts and refined before being presented to judges in a challenging 4 day innovation process. The top teams in each Sustainable Development Goal category then presented their solutions to investors and experts, after which gold and silver awards were presented, on 5 June. Randall whizzed through the various stages of judging – and in the final round has to present his teams work to an audience of over 1 200 people. They went on to win both the Global Scalability Potential Award and the Global Sustainability Prize, against 995 other contestants and 169 other solutions presented. Randall told UCT News, “The innovation would create employment, as local people could transport the waste to mini treatment plants where high-end products could be created,” he continued. Phosphorous recovery from urine for fertiliser is one example of this. This inspiring movement and the people involved show us that change can happen and that the people who make a difference could very well be the lecturer from your university, a hard working student with passion or even you.